I Saw the Light (2015) – What's New on Netflix Canada Today! 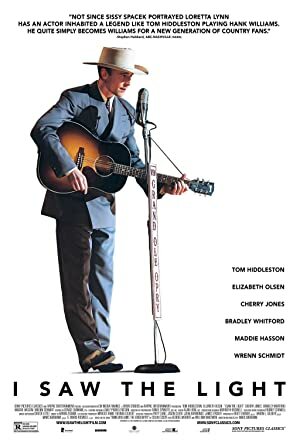 As his fame and fortune grow, country-western singer Hank Williams struggles with drug and alcohol abuse and a series of tormented relationships. His talent is undeniable and his love is fierce. But for a man with demons, what is the price of fame? The story of the country-western singer Hank Williams, who in his brief life created one of the greatest bodies of work in American music. The film chronicles his rise to fame and its tragic effect on his health and personal life.